What makes the Outer Banks so special? No boardwalks, no loud theme parks, and no high rise hotels blocking the views of the ocean. No flashy nightlife, no neon lights, or main street tourist traps. The natural beauty of the fragile islands and the pristine beaches is what makes the Outer Banks so unique. These beaches are well known to be family-friendly, making it a perfect destination for a family vacation, and an ideal place to unwind and relax. With miles of sandy beaches and loads of off-shore fun, the Outer Banks offers a wide variety of outdoor activities that are well suited for everyone. North Carolina’s Outer Banks is one of America’s most spectacular and unique vacation destinations. The beaches of the Outer Banks stretch over 100 miles long and are surrounded by 900 miles of water and is preserved by National Park Service, which protects more than 70 miles of the coastal region. 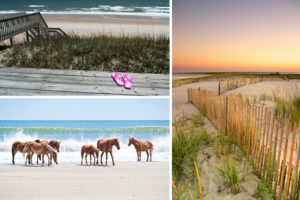 The barrier island’s mix of rolling sand dunes, beach grasses, and beautiful beaches has been charming visitors and residents for generations. 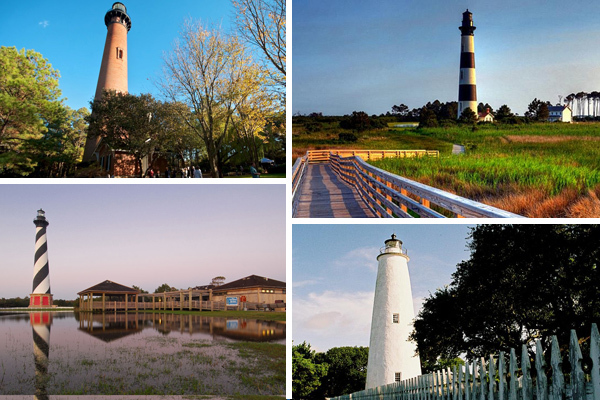 The Outer Banks is made up of historic islands, quaint towns, and secluded villages. 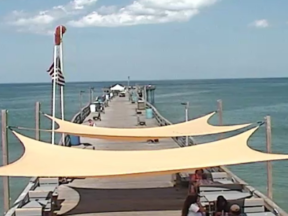 An Outer Banks vacation provides a lifetime of memories If you have visited the Outer Banks during the summer, you’re well aware it’s popular beach vacation destination, and has been for decades. The Outer Banks is an outstanding location for OBX water sport activities! The Outer Banks offers many water activities including jet ski rentals, kayaking, diving adventures, surfing, parasailing, fishing charters, dolphin cruises and more. With constant winds, the Outer Banks is renowned as one of the best kiteboarding and windsurfing places in the world. Located at the northern tip of the Outer Banks, Corolla (pronounced: “Kuh-RAH-Luh”) is an ideal beach destination for a family vacation. Known for its relaxed pace and vast stretches of natural beach, Corolla is the perfect place to unplug and reconnect. Observe the wild horse herd, take a walk on the beach, bird watch in the wetlands, or dig your feet in the sand. Corolla has plenty of things to do for families and kids, including great golf courses, bike rentals, water sports, and eco-tours. Unwind at a wide selection of vacation rentals. Duck is an Outer Banks community located between Corolla and Southern Shores. 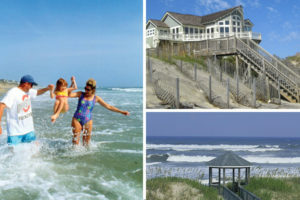 Touted as one of the best beaches in America for families, Duck is residential beach town, catering to family vacations. The Town of Duck has a quaint village-like charm, with ocean and sound views that are jaw-dropping. 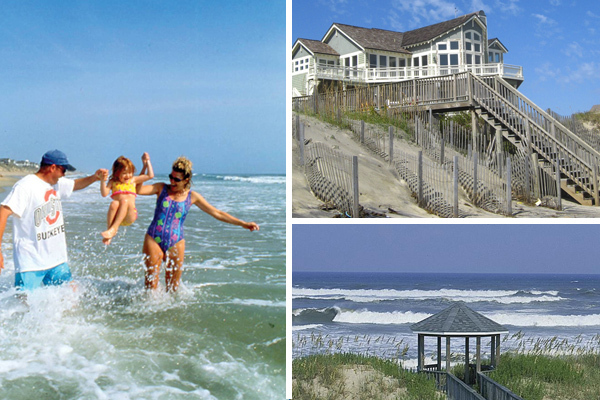 Duck offers family-friendly beaches, with a wide selection of great vacation rentals. Take a stroll or spend the day at the Town Park and Boardwalk. Full of family fun and plenty of activities, this area on the Currituck Sound is brimming with excitement for all ages. From shopping and dining to kayaking and fishing, the whole family will find something memorable to do. Adventure seekers can head to the beach for boogie boarding and swimming. Nature lovers can seek calm waters in the sound. Kitty Hawk is most remembered for its connection to the pioneers of flight, the Wright Brothers. But beachgoers know Kitty Hawk for its quiet oceanfront and its classic beachfront cottages dotting the shoreline. Families looking for convenience without the crowds will find the getaway they’re seeking in Kitty Hawk. Nature lovers and animal enthusiasts alike would love the wide range of habitats and species at The Kitty Hawks Woods. Spend the day exploring any number of trails throughout the forest. In addition to plenty of vacation rentals, Kitty Hawk offers one of a kind mom-and-pop motels and one of the nicest hotels available in the Outer Banks. You’ll soon discover why Kitty Hawk has become so popular for families seeking vacation rentals on uncrowded, family-friendly beaches. 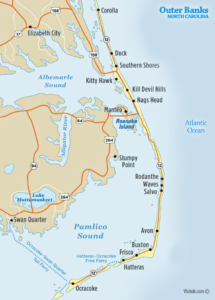 Kill Devil Hills, NC is an Outer Banks town located between Kitty Hawk and Nags Head. Although not incorporated as a town until decades later, Kill Devils Hills sits on the original location of the Wright Brothers first flight. 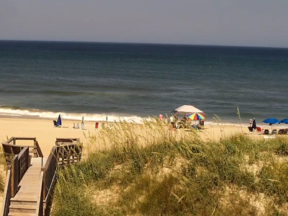 Now it is one of the most popular beaches in the Outer Banks. Kill Devil Hills is the year-round home of more than 7,000 residents, but in the summer season, this population swells to more than 45,000. Those interested in history and innovation will be enticed by The Wright Brothers National Memorial, part of the U.S. National Park Service. In addition to a monument and hangar and field replicas to explore when the weather is clear, the memorial offers an indoor visitor center with replicas and exhibits on display. Kill Devil Hills offers family friendly beaches, a wide selection of vacation rentals and plenty of things to do. 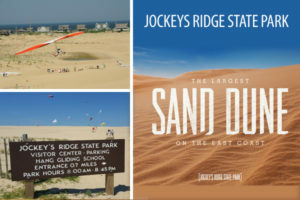 Catering to such a large population every summer, Kill Devil Hills has an endless number of activities and adventures just waiting for kids and families. Tucked between Kill Devil Hills and Hatteras Island, Nags Head is an Outer Banks community known for its sand dunes and endless stretches of pristine shoreline. Nags Head offers a little something for everyone without the sensory overload brought on by typical resort beach resorts that feature sparkling boardwalks and flashy hotels. Nags Head is often considered the center or hub of the Outer Banks, offering a wide array of activities in all directions. The area has over 40 public beach access points which makes it a great place for beach-lovers, seeking clean and not over-crowded shores. 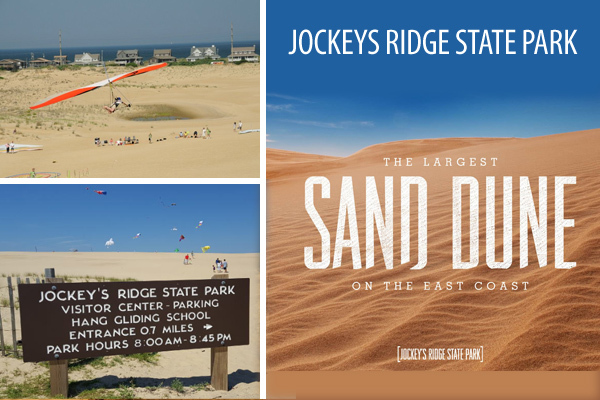 One of the most popular attractions in Nags Head is Jockey’s Ridge State Park, which features active sand dunes, the largest on the East Coast. Adventures seekers can get their thrills with hang-gliding and other daring sports. The unique flora and fauna of the area are explained at a local museum. From historical points and lighthouses to modern shops and restaurants, Nags Head is the quiet, but exciting, getaway families seek. Shrouded in mystery, full of history, and a delight for modern families, Roanoke Island sits between the mainland and the barrier islands, near both Nags Head and Kill Devil Hills. It is approximately eight miles long and two miles wide, and packed with adventure. 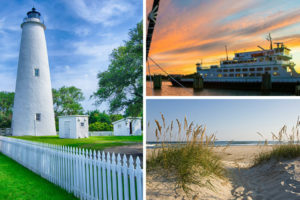 The island consists of two small towns, Manteo and Wanchese, both offering plenty of accommodations ranging from hotels and inns to boutique bed and breakfasts and rental properties. Roanoke Island is also often referred to as the Lost Colony because the original colonists disappeared in the 1500’s, never to be heard from or seen again. The island is home to a number of parks, museums, and other attractions hearkening back to this island’s past and providing education and adventure to visiting families. Theatergoers may savor the oldest outdoor symphonic drama in the U.S., The Lost Colony, performed at Manteo’s Waterside Theater. Connected by bridge to the northern Outer Banks, Hatteras Island consists of the villages of Rodanthe, Waves, Salvo, Avon, Buxton, and Frisco. The island draws visitors from all over the world who have read and heard about its rich history and pristine beaches. Best known for the Cape Hatteras Lighthouse and the Cape Hatteras National Seashore, the island has beautiful sandy beaches that are ideal for relaxation, fishing, watersports, and seashell hunting. Hatteras Island’s easy way of life provides unplugged recreation and countless opportunities for outdoor adventures and sightseeing. Hatteras is renown for its blue marlin population, making it a favorite for sports fisherman and observers alike. Those looking to get off the water and out of the sun for a while can step back in time at the Frisco Native American Museum or The Graveyard of the Atlantic Museum. Families in search of exploration or a quiet getaway will find it on Hatteras Island. Ocracoke Island stands out as an untamed, yet welcoming, beach destination. Families looking to get away from the stresses of everyday life will find the tranquility they seek in Ocracoke. With 16 miles of unspoiled beaches, it’s the perfect place to take a deep breath and reconnect. Protected by the Cape Hatteras National Seashore, the beaches remain beautiful with soft sand and the water is clean and clear. 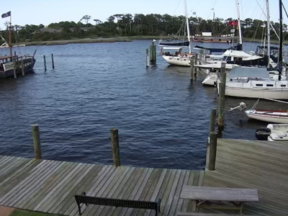 Ocracoke offers fishing, boating, kayaking, and other water sports. Nature lovers can enjoy hunting for shells, biking, and the natural beauty the undeveloped island has to offer..
Ocracoke is steeped in history, and yet after all these years, it hasn’t lost its charm. 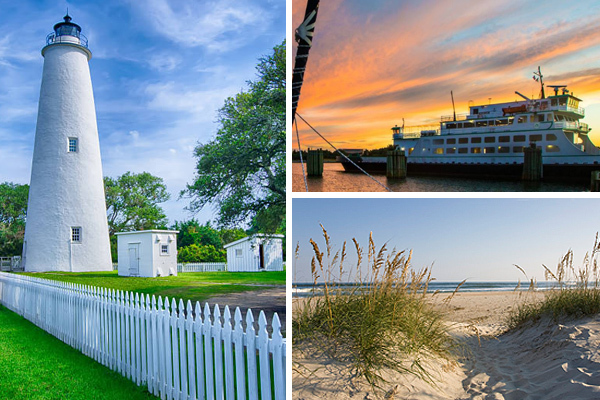 If you’re looking for southern hospitality, with a laid-back lifestyle, Ocracoke offers it all. The island is well-known as a quiet fishing village with no stop lights and very few street stop signs. And yet it’s ready to welcome visitors with accommodations, restaurants, and activities. Often remembered as the place of Blackbeard’s death, Ocracoke evokes a certain rugged and wild spirit, as a sort of bold and adventurous paradise. Well Done! You’re ready for the best Outer Banks vacation ever!